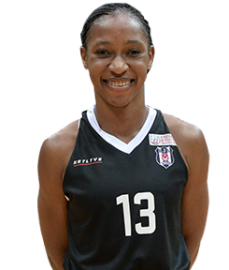 Evelyn Akhator (born 1995 in Lagos) is a Nigerian international power forward/center with the Dallas Wings of the WNBA. The University of Kentucky graduate also played for the Russian team Dynamo Novosibirsk Region. Beşiktaş signed her to a one-year contract in 2018.